Early in mid April on one of the first nice Sundays we had after that atrocious winter i worked at an event at Newmarket racecourse. 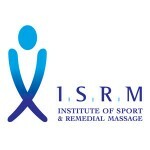 I had been approached to work via the Institute of Sports and Remedial Massage (ISRM) website where i am listed as a member by a fellow listee who runs the massage at sporting events. I had been told that there would be 700 riders in three races and it would be at the famous racecourse. This all sounded great to me as i wondered about the interesting prospect of working on the wiry and small jockeys with their well known fierce determination to succeed! As i arrived bright and early that sunny but still cold day everything seemed strangely quiet apart from a totally full car park. It was great to see the famous stands and course at Newmarket all totally free of people in the morning sun. It was as i was searching for someone that the penny dropped when i saw a number of cycles on show. Riders meant cycle riders not horse riders! Didn’t think for a second of cyclists when Newmarket was mentioned for some reason! 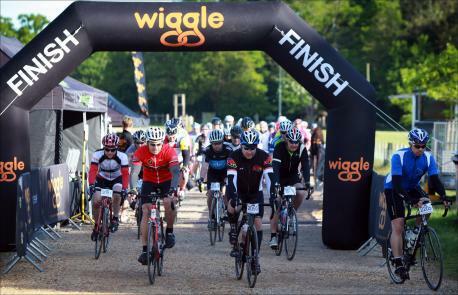 In fact it was an event organised by Wiggle who put on cycling events throughout the country and were using the facilities at Newmarket to stage a three distance (not race) event for 1000 cyclists. Once i had adjusted my mental landscape to these new facts i set up, waited for the other therapists and for the first of our cycling clients to finish the shortest 29 mile course. The other distances were 69 and 99 miles. Finally after a good chin wag with my lovely fellow therapists and about an hours wait the first tired cyclists started to drop by. Although we normally work on 15-20 minute slots these first few people got a good 30 minutes as we weren’t rushed and couldn’t help ourselves to delve deeper into what we found beneath our hands. As well as the usual Quads/Hamstrings and Calf complaints from cyclists we also were getting quite a few lower back issues. These people said they didn’t usually have back issues and had all had their bikes set up for them professionally meaning that their back and legs should all be in an optimal position. This sort of issue could be caused by tight hamstrings but again not in these cases. Tight Iliopsoas or problems with their Piriformis could also be a cause of tightness across the lumber area. Once again however when we tested these muscles they were not unduly tight, especially considering they had just completed the ride. Finally we twigged the cause of this spate of lower back issues, this was the first ride in anger for all of these people this year. The winter had been so bad that not only had they not been out on the road training as much but other earlier events had been cancelled due to snow. They were simply low on conditioning as they hadn’t been able to put the miles in and this was the first time they had ridden hard. This meant they had tightened up more than usual in what was still not a warm day either. The only slight exception to this was one rider who when we stood alongside each other seemed to have comparatively long legs and short body meaning he would be stretching to reach along the frame of his bike potentially contributing to his lower back problems. He was aware of this fact and had already adjusted his handle bars as far back as he could. We suggested going to a cycle expert to see what could be done with his frame/ wheel/ handle combination if this issue kept cropping up. By this time things had hotted up massage-wise with the longer distances starting to finish and come in for some work. 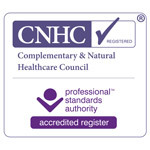 This is the time when in an event when all the therapists are at full speed with queues of clients sitting in front of you waiting, no pressure! The trick is to still take your time and make every technique count so that you can do the most work in the short time allotted for each client, trying not to take too much notice of all the hungry eyes looking at you from the tired and achy participants!